• Saturday: nothing, as usual. 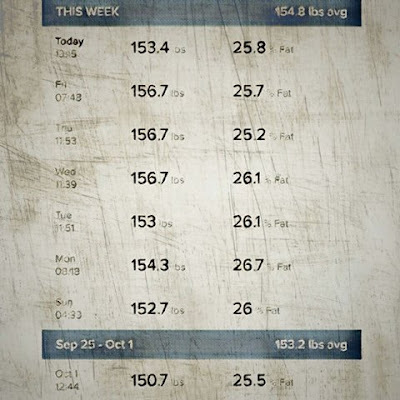 Hopefully this will change in the near future, but for now, it’s just a rest day. 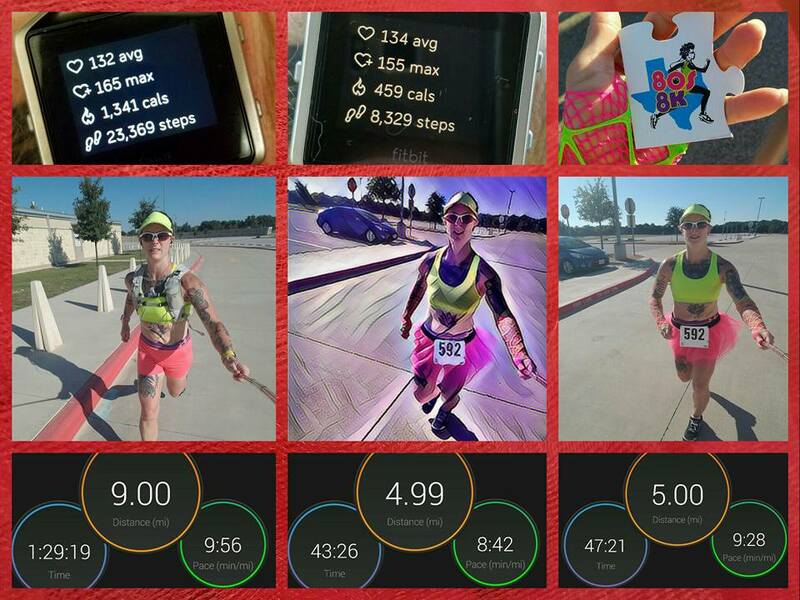 • Sunday: an amazing 3-part 19 mile run. I ran the first 9 miles at an average 9:56 pace. Nice! The next 5 miles was the race I was doing that morning and I did it at an average 8:42 pace. Very nice! Then I wrapped it up with another 5 miles solo at a 9:28 average pace. Boom! This segmented run left me no doubts about how I hope to perform at SPI next month. WHOA! 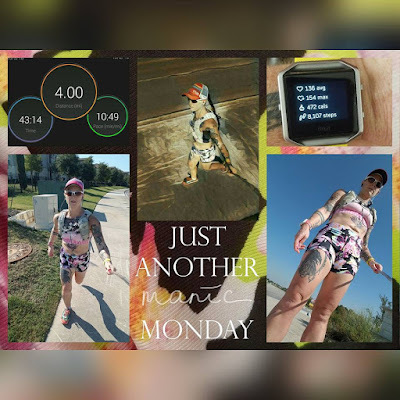 • Monday: 4 mile steady pace shakeout recovery run. Miles 1, 3, and 4 at a 10:49 pace with mile 2 at a 10:48 pace. Oh yea! Had to make going so much slower into a game so I tried to make all the miles the exact same pace. BOOM! • Tuesday: nada, rest day due to overtime worked Monday night. 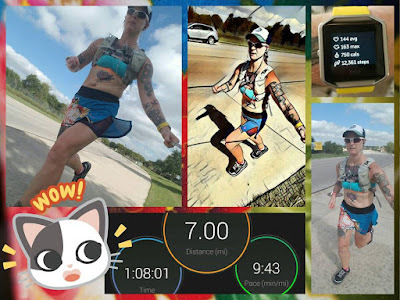 • Wednesday: 7 mile steady pace at my marathon goal pace. WOOHOO! • Thursday: overtime again Wednesday night, so another rest day. 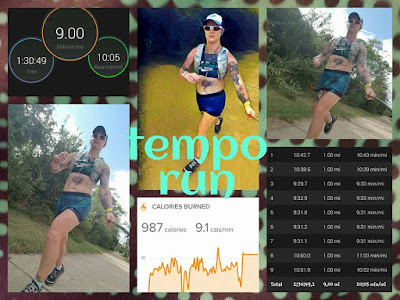 • Friday: 9 mile run with 5 miles tempo at a 9:30 average pace in the middle. NAILED IT! First, you may have noticed I did some updating of my blog’s appearance…unless you only read via email subscription, then I recommend you go visit my blog and check it out. I’m quite happy with it and proud of it. I created a whole new title banner for it and I really like it. Sigh. I hate when I weigh in all great on Saturday and then on Monday I’m up 4 pounds. This is I’m sure partially due to the Tex-Mex meal I had on Sunday and partially due to mother nature’s surprise she gave me Monday morning. 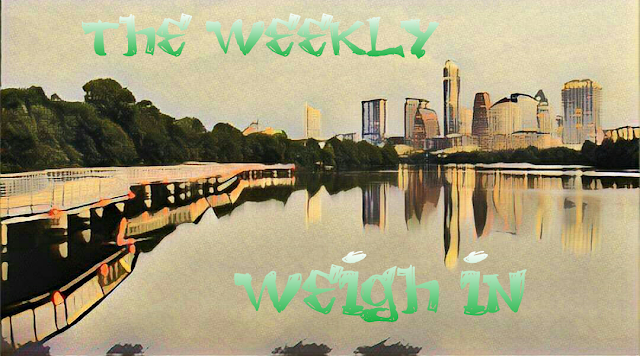 I just had to do my best with food this week and hope that I balanced out by the end of the week. I’m going to start cutting snacks (not my overtime snacks) out of my day, so that should eliminate about 300 calories each day which should help a lot. I also need to find more high volume, low calorie foods to eat. Like romaine lettuce, celery, bell peppers, cucumbers, and the like. So when I go grocery shopping for next week, I’m going to get bell peppers and cucumbers I think for my dinners. Despite being up 4 pounds on Monday, my fingers, jawline, and such still all “felt skinny” which is part of the reason I wasn’t worried about being up on the scale. I also think I’ve been getting cysts on my ovaries lately. Or, maybe I’ve been getting them all along, I just haven’t noticed them because I had a lot more padding? I don’t know. Either way, if I’m still having the discomfort from what I’m pretty sure is cysts in that area when my annual lady appointment comes due, I’ll definitely be speaking with my doctor about it. I’m sure that if I do have cysts that they don’t help with my weight loss efforts as I know they can throw hormones out of whack plus cause excess water retention and all that jazz.